I know. . . I know. . . you’ve never heard of Cube. Well, you should have. 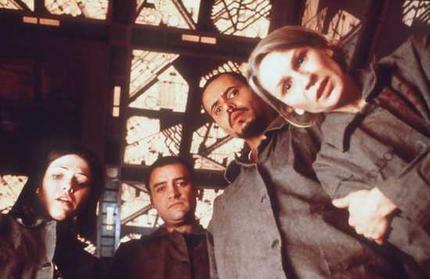 Cube is a Canadian science fiction/psychological thriller that’s become a cult classic. It's got an interesting story, a very believable atmosphere, and it's surprisingly gripping. It’s also got a fascinating take on the nature of evil. Sadly, it squanders a bit of its potential with political correctness, but overall it’s absolutely worth seeing. Imagine you wake up in a strange room shaped like a cube. You have no idea where you are or how you got there or even why you are there. In the center of each wall (including the floor and ceiling) are hatches you can open. Each hatch leads to an apparently identical room, except for color. Only, some rooms are booby trapped in ingenious ways. That’s the premise of Cube as a group of people find themselves stuck inside this deadly maze. Beyond this, Cube is a sort of character study mixed with a mystery about the nature of the cube -- both what it is and why it is? It’s in the character study that political correctness rears its ugly head and hurts an otherwise fine film. It’s in the nature of the cube that this film truly excels. But before you read ahead, be warned that I need to discuss the two significant twists to address these points. 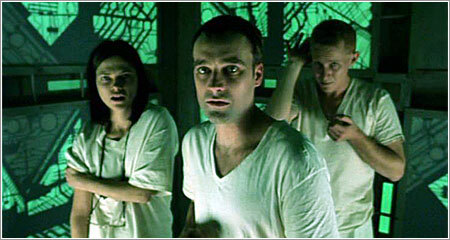 Cube focuses on six people who find each other inside the cube. There is Quentin, a level-headed police officer who is looking for practical solutions. David Worth (David Hewlett of Stargate Atlantis) is the voice of surrender. Joan Leaven (Nicole de Boer of Star Trek DS-9) is an expert mathematician. “The Wren” is a criminal who has escaped from seven prisons. Kazan is an autistic man. And Dr. Hellen Holloway is a big time leftist. She’s bitter, paranoid, and spouts off conspiracy theories and oppression theory. As a group, these characters are well chosen to provide plenty of drama. They have conflicting personalities and the actors bring a lot of tension to their interactions. But the writers fail to exploit this excellent choice of characters because they opt for doctrinaire political correctness rather than character development. Thus, rather than watching these characters grow and evolve, we are instead given shallow and predictable leftist clichés. Quentin is the prime offender in this regard. Cube was made before 9/11 when the left still openly described all police officers as lovers of violence who beat their wives and get a sexual thrill from imposing “the man’s fascist system” on minority communities. Thus, police officer Quentin very quickly transforms from an interesting character into a mindless cliché psychopath who beat his wife and likes to impose fascism on an unwilling society. Naturally, at least if you think like a leftist, Quentin becomes an over-sexed murderer who revels in violently oppressing the other characters. This is both annoyingly predictable and squanders what started as a well-written character. And lest you think Quentin being black is unexpected, you need only listen to Holloway to understand that he's been brainwashed to think he's part of whitey's club. The other characters fall into similar patterns too. The white guy is complicit in the evil, the leftist is the only one speaking truth to power, and only the retarded kid can save them all. Don't get me wrong, this is still a good movie and it's not as annoying as it sounds, but Cube would have been so much better if they had gone for real characters instead of predictable leftist PC clichés. Where Cube really gets interesting is in the nature of the cube itself. Who made the cube? The evil military? Nope. Some crazed James Bond villain? No. The answer is that no one in particular made it and that’s a pretty original idea. Indeed, as the story goes on, Worth admits that he saw the plans for the cube when he was hired to work on part of it. From him, we learn the cube was essentially put together on autopilot. Someone in “the system” got the ball rolling. From that moment on, the system did its thing and thousands of people were put to work making the cube without ever knowing what they were building. It might even have evolved as individual designers and workers made changes to their parts. Now it exists and it does what it was designed to do even though no one is out there directing it. Obviously, this was meant as social commentary about the dangers of individuals not asking enough questions, with the point being that if we don't know exactly what we are doing, then we could be aiding "the system" in creating something evil. Ok, point taken. What I find more interesting though, is the idea that something evil could be created by sheer momentum. Indeed, the cube is the first "villain" I can think of that wasn't intentionally created, isn't being used for some specific evil purpose, and doesn't have any particular motivation. It's not trying to take anything over or oppress anyone, it's not motivated by revenge or greed, nor is it even just trying to survive. . . it just is. This is also strangely believable. Indeed, we constantly hear of government programs that have fallen through the cracks and which continue for decades before anyone discovers they are there. It isn't hard to envision this cube doing its thing for decades until some bean counter stumbles upon an unexplained "maintenance charge" on some balance sheet. So in many ways, this is a criticism of overly expansive government where the government has become so big and complex that the right hand no longer knows there even is a left hand. That’s what makes this film so fascinating. I absolutely recommend this film (despite its PC failures). 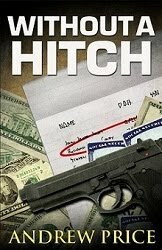 It's got good action and is surprisingly gripping, and it leaves you with plenty to think about. Avoid the two sequels, however! They completely miss the point of the cube and they turn it into nothing more than a standard military conspiracy to eliminate undesirables. Anyway, despite the shortcomings you mention (and they DO sound annoying,) it looks like a good one to see. While a review of a film like this (e.g. one with which I am totally unfamiliar) prevents the pleasure of a good discussion, it is always nice to get a heads up on a hidden gem, even a flawed gem. Jed, I do debate that, whether it's better to stick with things people have seen or point out new things they might like. I think there is no right answer, so what I try to do is mix it up and then when I do a film you probably haven't seen, I try to (1) give a warning about the spoilers and (2) talk around the plot and the specifics as much as possible so it doesn't ruin the film -- there are still many surprises that I haven't mentioned in this film and the two "twists" are things you find out fairly quickly. So hopefully, you will still enjoy it. Also, you're always welcome to come comment after you see it -- I do read and respond to old comments (and I do get quite a few). So definitely let me know what you think. In any event, I do recommend this one. It's well worth the time (the sequels are NOT) if for no other reason that it's just so unique a concept and because it really is strangely gripping to see who makes it and what they learn about the cube along the way. Andrew: I was all set to disagree with you on this one. But by the time I got done reading the review, I found that I would have launched exactly the same criticisms and pluses. I found the movie entertaining, and like you, I saw the PC as screwing-up an otherwise absorbing movie. And you are dead-on about the sequels. Great minds, right Lawhawk?! LOL! It is a shame they had to go the PC route because this one of those moments where I do like the film, but I think it could have been so much better if they'd just been more fair with the characters. I think the lesson is to never let ideology cloud your writing? Yeah, the sequels are horrible. They seem like cheap horror movie knock offs, with attempts to get grosser and grosser about the booby traps and then completely jumping the PC shark in terms of explaining the cube -- that's what this so cool, the nature of the cube, and they made it banal. All right, added it to the queue. Didn't even read past the first paragraph, because of the spoiler alert, but I trust you. Mike, I think you'll like it. It's an interesting film with a really unique concept and good deal of mystery. And despite having a small budget, it doesn't feel like a cheap film. It's not perfect, but it's definitely worth seeing. I also really liked this movie. One of the more appealing aspects was that the types of professions they had assembled were specifically geared towards surviving and escaping the Cube, presumably by design: a police officer (natural leader and protector), a doctor, an escape artist, an autistic savant to crunch the numbers, a math whiz to interpret things for the autistic savant, and the guy who knew the dimensions of the Cube. You don't know why they're here, and neither do they, which is really the best part. If they played their roles, they all might survive. Instead, they slowly turn on each other. 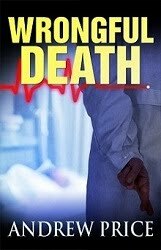 Sure there are a lot of cliches (both the cop and the doctor are over-the-top), but it really is worth watching. I unfortunately saw the second one and it nearly destroyed my enjoyment of the first. There was no way I was going to watch the third after that. wahsatchmo, The third one is even worse. The cube becomes a digital thing that lets them do all kinds of unreal and unbelievable things. Then it ends with military guys basically telling you why they are doing it... I try to blank the two sequels out of my mind. In any event, I'm glad you enjoyed Cube -- I figured some people around here would have seen it. And it sounds like you and I enjoyed it for the same reasons -- interesting premise, interesting characters and good drama based on whether they can work together or not to get out of the cube..... plus the whole mystery of solving the nature of the cube just had me fascinated. And they left enough mystery in it that I never felt robbed by a bad solution. I think the cop and the doctor were way over the top and I think that's the one problem with the film -- though it's not a big enough problem to keep me from recommending the film. I wonder if they would have made the cop as nasty if they'd made the film today? I bet they wouldn't have. And that's one of those things that gets me wondering, what they could have achieved with the drama if they hadn't gone for the "easy" drama of making the cop crazy and if they had instead tried to create the drama naturally out of the conflict between the characters as they appeared when we first meet them? I'll bet, they could have taken this film to another level if they'd done that. I've seen this a ocuple times and I really like it. I agree that they do make the cop into a cliche, but it didn't bother me. Although it did bother me that the leftist was proved right. I really hated her. Ed, I didn't like her either. Glad to hear you liked the film though! Also, I think you're doing a good job with the spoilers. I don't think you give much away here and certainly nothing that happens later in the film. Thanks Ed. It's a fine line. Yeah...you're absolutely right, Andrew, I have never heard of The Cube. And frankly, I'm still waiting to be convinced Canadians can make good movies. Just saying. Actually, I can't name any great Canadian films either, but then most of their stars are in the US working for Hollywood. They drink all of the LaBatt's themselves. wahsatchmo, And don't forget hockey players! I'm actually amazed how many Canadians I've met working in the US. I'm glad they're here because they've all been very industrious and good people, but what does that say about Canada that so many of them come here? It has been a long time since I saw this movie but I loved the premise. The idea of no cartoon evil villain makes It creepier. I need to see it again. I've never seen this film but I've heard of it and I'm sure I'll check it out one day. 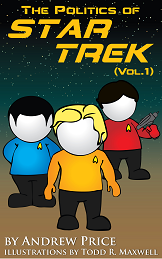 Re: Canadian exports, I'll name a fourth one... Shatner! Having said that, I sometimes forget that there's a thriving film and TV industry just to the north of us and yet, with the possible exception of Kids in the Hall and the films of David Cronenberg and Atom Egoyan, most people in this country couldn't name anything produced by that industry. What we need in the US is a new TV channel: CBC America. I myself am a fan of the media satire The Newsroom which aired for three seasons on the CBC several years ago. I might review it one day. My aunt and uncle are fond of another show called Corner Gas that aired in this country on WGN and I've met a few improv folks who love Slings and Arrows which is a show about a Shakespeare festival. Oh, by the way, you talk about the PC-ness of the sequels and the "standard military conspiracy." If the films were about a "standard big government conspiracy," would the PC complaint still hold water? I only ask because, in my experience reading BH and other sites, there seems to be a thin line between "standard liberal sucker punch" and "awesome conservative message" and it seems to depend on who the players are. Kosh, Well said. The concept of this one is so creepy on it's own, they didn't need to add a cartoony villain and doing so only detracted from the overall film. It really would have been neat to see what they could have done with the story if they hadn't gone that route? Maybe this is ripe for a "reboot"? It is difficult to remember that Canada actually does have a thriving television/film industry. I've run into the occasional Canadian film or television show, but way, way, way more often than that you see Canadians who are working on US productions. In fact, it's stunning how many actors we know (and newsreaders.... Peter Jennings) who are actually Canadians who fled south for fame and fortune. Canada may suffer from a brain drain, I'm not sure. And it may be suffering from bad PR. For example, the only openly "Canadian" show that most people seem to know is "The Red and Green Show" on PBS, which is annoying crap. Judging Canada by that show is as unfair as judging the US by Tim Conway's "Dorf", but that does seem to be the one most people know. So maybe the sour on Canadian television right there? The idea of a CBC is actually a good one. Look what it's done for British television here, which was previously seen by us as a collection of 1970s sitcoms and the occasional Masterpiece Theater presentation. I would say that since they started showing more moderns British productions, that the view of British television has changed a lot and definitely for the better. On the idea of political correctness, no, it’s not political correctness. The reason involves the meaning of political correctness. Political correctness is not just about what one side or the other likes, it's about the use of force. It's about forcing people to conform to a particular point of view (usually despite a myriad of facts to the contrary). In other words, even if every conservative wanted to see the government portrayed in the same way, that doesn't become political correctness until you add the next step.... demanding that only that view be allowed and ostracizing and attacking those who refuse to conform to your view (typically involving threats to your livelihood, protests/disruptions, or even the use of the criminal justice system to enforce your view). That's the difference between simple groupthink and political correctness. Political correctness does not recognize the right to disagree. FYI, That's also why PC is almost entirely a leftist phenomena -- because the left inherently believes in having its views forced upon people through state power... few conservatives think like that (though there are some). What you’re seeing at BH is more a factor of group think and poor reasoning. There are a large group of people out there (probably the majority of humans) who don’t have much ability to reason. They don’t want to take the time to learn facts, they don’t have the ability to use logic consistently, and they aren’t interested in the nuances of life, i.e. they want black and white answers to all questions. So they latch onto whatever theory gives them the most easy black and white answers. That usually involves some sort of conspiracy that neatly ties everything they see together and explains why everything happens. To borrow a science term, it’s like a “Unified Theory of Everything I Don’t Like.” What you’re seeing is the people who fall for that expressing themselves. So it’s not political correctness because they’re not trying to force everyone to conform to their views upon pain of death, but it’s not a particularly healthy or intelligent way of thinking. Another difference, by the way, political correctness will not bend in the face of facts -- in fact, it knows the facts and it refuses to acknowledge them. But these Unified Theorists are capable of being influenced by a presentation of facts and that will get them to amend their theories. P.S. When you watch Cube... and you will... come back and let us know what you thought of it! I did happen to see this one and I concur with your review. Ever notice that PC never elevates a film (or anything for that matter)? It brings it down. Not enough in this case ,fortunately, to totally ruin the movie but certainly enough to be irritating, extremely predictable and boring, as is PC's wont. Hell, even most leftists ain't particularly fond of PC, else we would see far more of it and Err...I mean, Air America would be thriving. Thankfully, I haven't seen the sequels so thanks for the warning. Saw was another movie I thought was good but the sequels sucked. They got away from the psychological thriller/suspense aspect and the smart writing and opted for lots of mindless blood n' gore instead. ("same" don't bother me much if it's good, but when it's crap well, who's gonna willingly step in it?). Conversely, the sequel to White Noise (with Nate Fillion) was surprisingly good comnpared to the original (with Michael Keaton). I would like to clarify: I actually thought the brilliant part of Saw (only the first one) was the interaction between Cary Elwes and Wannell (who helped write the script). But mostly the strong performance of Elwes. That being said, it ain't a movie I would like to watch a lot. But there are several good movies I wouldn't like to watch a lot. USS Ben, Thanks! You're right about political correctness, it's dull, predictable, unrealistic and it doesn't make for good movies when the characters need to fit into certain politically contrived expectations. I agree with you about Saw. I sort of liked the film.... I like Elwes a lot and I thought his scenes were great as they made for an interesting psychological thriller, but overall, I felt the film was a little too sadistic. That said, my view of it is colored by the sequels and I think I would have liked it more if they hadn't made the sequels -- which were just an excuse for a bloodbath. In fact, the biggest issue I have with Saw has little to do with the movie itself, so much as the ton of imitators it spawned which completely missed the psychological aspect and instead saw the "formula" as "find outrageous ways to kill and maim." It is amazing how often a film like that comes out and works really well, but when people make sequels they seems to dumb it down and take out the interesting points. The Cube sequels are that way. They lost the whole psychological aspect of the film and instead interpreted the film as "gather some people in a cube and start killing them off." P.S. I really liked White Noise, but it was definitely a movie that left a good deal of potential on the table. And I agree with you that the sequel was surprisingly good. I think they were smart not to just mirror the original. Plus, I like Fillion a lot. So I watched this last night, and I was glad I did. I'm sure the Netflix computer is exasperated by me, since I rate sci-fi as one of my favorite genres, but give most individual sci-fi films poor ratings. Anyway, Netflix had been recommending I watch this for quite some time, but I don't have much luck with their recommendations and rely more on word of mouth. This one got four stars from me, and I don't give many fives. The PC-ness of the doctor didn't bother me at all, but that might be because I'd expected it to be distractingly awful. She had a theory regarding the origin of the cube, but I don't see that she was proven right. I wonder if having seen the sequels colors your view, because at the end of this movie, the origin is still unexplained. Sure, her theory is the most likely, but Worth admits that he has no idea who hired him. It could have been the "military-industrial complex" (and I loved it when the cop called her out on not knowing what that even means) but it could have been a sadistic billionaire or aliens or what-have-you. My biggest problem was the cop character. I'd say that the actor who portrayed him wasn't any good, but I wonder who could have convincingly pulled off the abrupt switch in his character. Plus I went to wikipedia and learned about prime powers, which was fun. Well it was my idea of fun, anyway. The mathematician was cute, but she took too long to recognize that even numbers and numbers ending in 5 aren't prime. That's okay though, since she's just a girl. I think the cop was my biggest beef as well. He starts out as a very intriguing character, but then suddenly has this massive personality shift that just makes no sense except that it fits the then-PC world-view of cops, i.e. that they're all inherently murderous. He was a disappointment to me and I think this film would have been better if he had stayed more true to reality because early on I thought he was great. That said, as I mention, I do enjoy the film and I'm glad you did too. 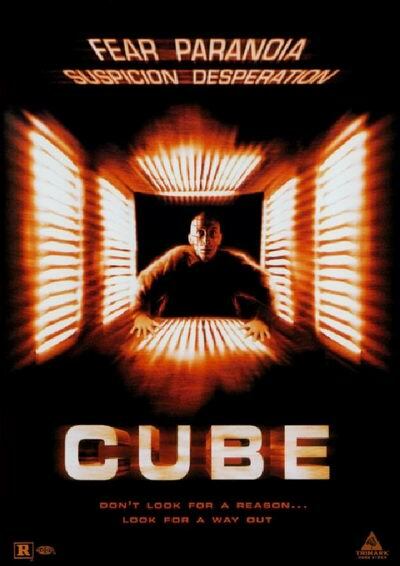 I think about this film quite a bit and I love the idea of the cube being build on autopilot with no one really behind it. By the way, on Netflix, they seem to be getting better at zeroing in on me, but it's always with things I've already seen. They rarely recommend something good that I haven't seen. But they do come up with many of my favorite films in their recommended lists. I'm glad you realized that I was mostly joking with the "just a girl" crack. District 9 is the only sci-fi movie that I watched based on the Netflix algorithm that I really liked. I searched Commentarama to see if you'd reviewed it, but it doesn't look like you have. Mike, Yeah, I figure you were "mostly" joking! LOL! I haven't reviewed District 9 yet. It's a lack of time more than a lack of interest -- there are a lot of films I still want to review, but I just haven't had the time to get to them all yet. I'm actually hoping to start reviewing newer films in real time in the future, but I've got some projects I need to finish first to clear up some time in my schedule -- pesky day job! Once again an excellent review which I fully agree with. I do have the other two installments as well though - Zero and Hyper. They are meh and bleh but for the sake of the completeness of my collection I'm happy I have them. Wouldn't liked it though if I had to pay for them. If one hapens to be an uber mellow die hard SF fan, then feel free to take a peek at those two follow ups, but don't pay too much money for it. Thanks John! This is an excellent film that is well worth the time. The later two are ok as schlock, but they don't compare to this one at all.